What is a Vertical Lift Module? A Vertical Lift Module (VLM) is an automated storage and retrieval system. It follows the storage principle of Goods-to-Men, where is the product that travels and not the employee. 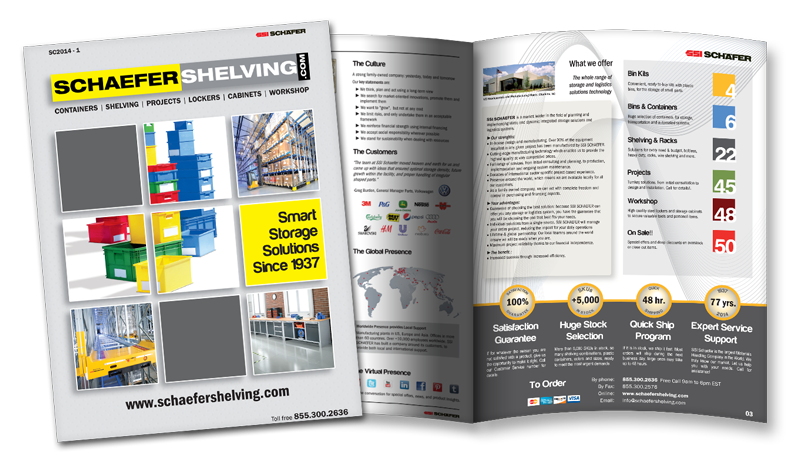 A Vertical Lift Module (VLM) effectively increases the utilization of your warehouse space, up to 90% when compared to traditional storage systems. With eight different model widths in two model depths and an available machine height of up to nearly 70 feet, it can be optimized to fit the space conditions. A Vertical Lift Module minimizes order picking errors through computer-controlled processes. It also provides full traceability of inventory movements. Access to trays can be restricted based on user permission, which provides secure storage for valuable and important goods. 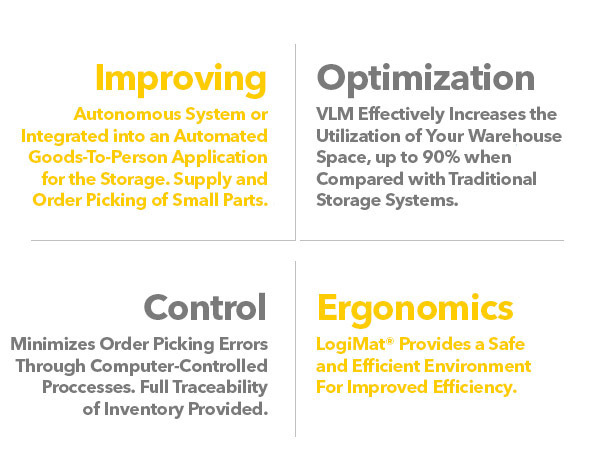 The VLM can be used as an autonomous system or integrated into your ERP for a wider storage and picking application. 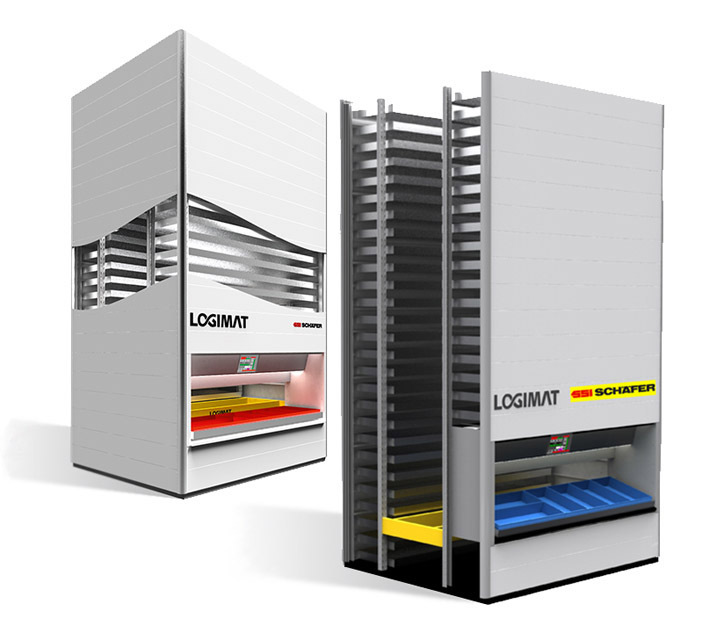 The LogiMat® VLM ergonomic design provides a safe and efficient environment for improved efficiency. The optional LogiTilt® is a tilt mechanism for the tray, reducing the reach depth. 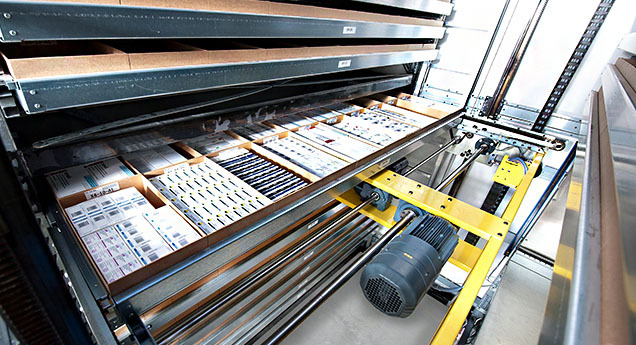 With the optional LogiWork®, the height of the tray delivered to the employee can be adjusted for optimal picking, and programmed into the system for automatic adjustment in the future. 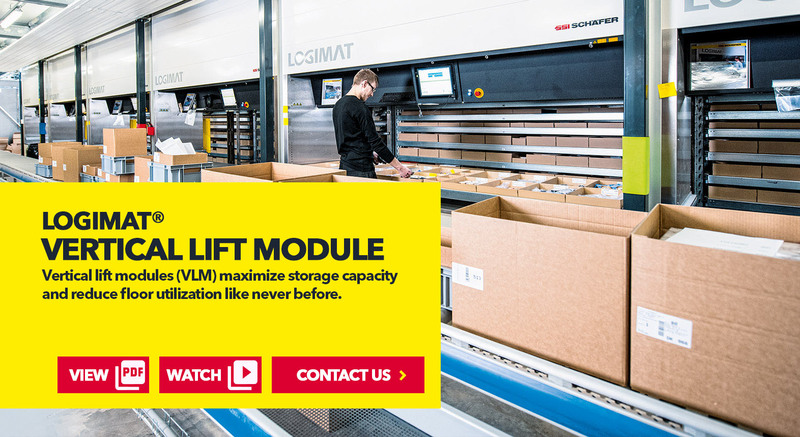 The LogiMat® Vertical Lift Module from SSI SCHAEFER features an exclusive rack and pinion gear system, that prevents common misalignments due to standard belts and chains, and drastically reduces downtimes and required maintenance. The tray lifter moves up and down on the steel columns, driving trays with engineered precision every time. LogiPointer: The Logimat® can be equipped with a laser pointer system to identify picking position making order picking even easier. LogiLift: LogiLift is an operating opening with continuous height adjustment to ensure an ergonomically correct removal height for each worker. LogiTilt: LogiTilt is a tilt mechanism for the ergonomic removal of goods and reduces operator reach depth. LogiSafe: LogiSafe is an electrically-driven locking door, ideal in particular for valuable goods. LogiGuard: LogiGuard protects the operating opening with the aid of a light curtain. LogiSoft Basic: The simple solution for direct tray access. LogiSoft Advanced: The ideal software solution for article management of one or more LogiMat®. LogiSoft Connect: The secure software solution for one or more LogiMat® with linkup to a higher level ERP system. 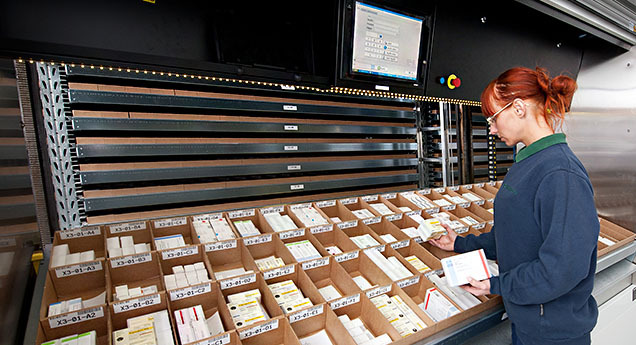 LogiSoft Enterprise: The compact software solution for comprehensive storage and goods flow processes. Watch SSI SCHAEFER LOGIMAT® Vertical Lift Module in action! 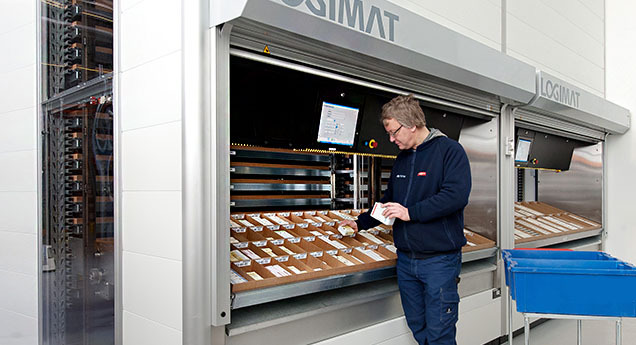 The LogiMat, a goods-to-man picking, space-saving, vertical lift storage system ideal for small parts storage offering a high order picking performance, was part of an interactive live demonstration of parts picking, transport and assembly for visitors at the IMHX show.